Connect with Life-Span Development and connect with success. Informed and driven by research. At McGraw-Hill, we have spent thousands of hours with you and your students, working to understand the key needs and concerns you face in Human Development courses. The most common topics raised include managing the vast amount of content inherent to a Lifespan course and ensuring the dependability of the assigned material–is it current and accurate? 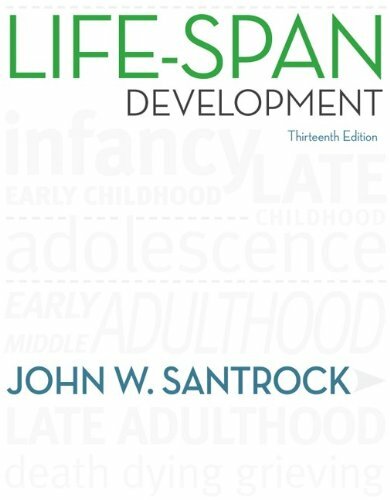 The result of this research is John Santrock's Life-span Development. Life-span Development ensures students complete and understand the assigned material in a number of ways. Santrock's hallmark Learning Goals pedagogy provides a comprehensive roadmap to the text material, clearly pointing out the core concepts fundamental to students' learning and performance. An adaptive diagnostic tool increases students' efficiency in studying by identifying what they know and don't know and providing in-the-moment guides to learning what they do not. The research and development of the 13th edition indicated that students said that highlighting connections among the different aspects of life-span development would help them to better understand the concepts. This recurring theme of connections—Developmental Connections, Topical Connections, Connecting Development to Life, Connecting with Careers, and Connections through Research—ties together concepts from across chapters to reinforce the learning process and connects the material to students' everyday lives and future aspirations. And the new Milestones video and assessment program helps bring the course material to life, so your students can witness development as it unfolds. And of course, all of this material is informed by Life-span Development's unique board of expert contributors—a who's who of developmental psychology—who ensure the material is as accurate and up-to-date as possible.